Today the whole family was in lockdown mode due to Hurricane Irene. Not the best of circumstances, but on the upside, it did give us lots of quiet family time. All of us cozied up in the basement and I got to spend some time with my kids AND make a card! 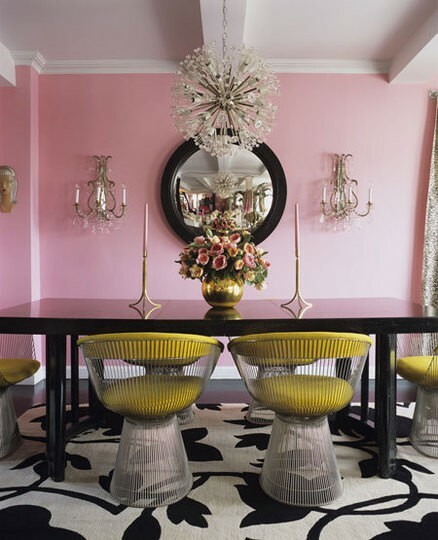 Today's card inspiration is the Moxie Fab Tuesday Trigger - Girly & Gutsy! I think my card's got the the girly, but not sure if I captured enough of the gusty. 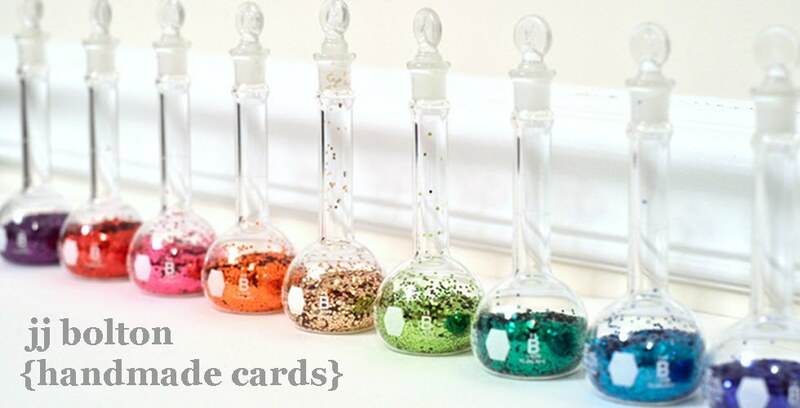 I tried to create a card that was feminine and modern, but not frou frou. So I picked this modern doily stamp with spindles that remind me of the detail of the Warren Platner chairs in the inspiration pic. The colors were added with copics to bring out the flowery feel. I chose a small damask design for the center of the doily and added a little jewel in the center (colored pink to match). The finishing touch are the small rhinestones around the edge. Now all that's left is to clean up the basement! Hope everyone out there is staying safe! Thanks for looking! Really pretty take on the trigger! I pray you stay safe. Hang in there, OK? 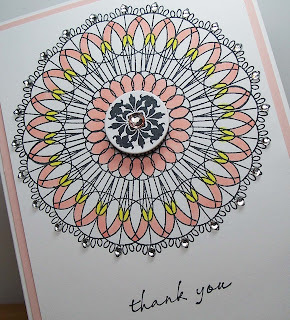 Love that doily stamp and how you colored it! Beautiful card!! Ooooooooooooo this is gorgeous!!! I love the touches of color and the bling. I really like the font on the sentiment. Fabulous take on the inspiration piece. Glad you made out OK with Irene! Fabulous take of the trigger. 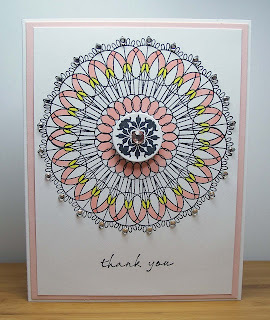 Love the coloring of the doily and pop-up center. Congrats on the shout out. What a beautiful card, Wow, congrats on TT win! Hope Irene skipped over you! 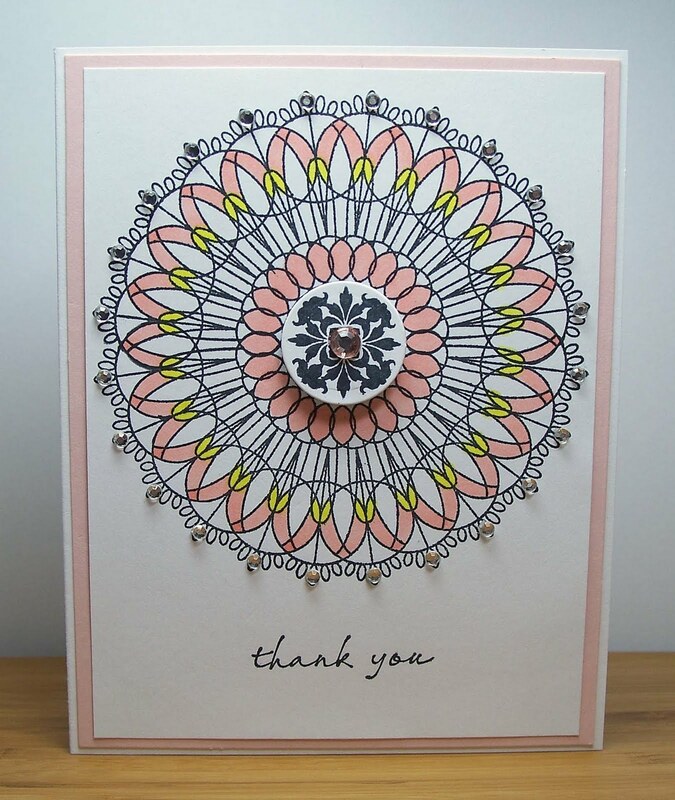 wow your card is so pretty...awesome job and congrats.. Awesome..congrats on your TT spot! Fantastic creation! Quite Moxie indeed! Congrats on being a TT! What a clever take on this weeks trigger. I love how you colored the doily to make it more like a flower. Gorgeous! This is so very pretty! 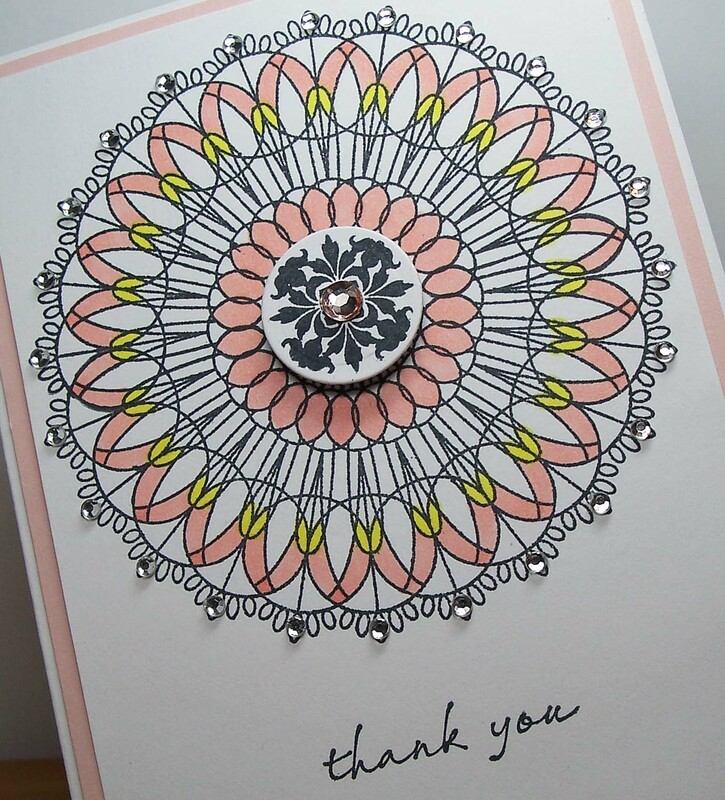 I love the doily image you chose and you colouring is terrific! Congrats on todays' TT! I loved this card when I saw it...congrats on Tuesday Trigger!!! Fabulous job with the Trigger! Congratulations! What a gorgeous take on the trigger. Congrats! This really is gorgeous, such a fabulous card, the colours are wonderful! Big Congrats on the Moxie Fab shout out AND the Big Cheese award! So well deserved! AND humongous congrats on your well-deserved Trigger Target!! Way to go! JJ - Girl you are HOT this week! Trigger Target and Big Cheese - AWESOME! You must be on Cloud 9! Congratulations - your card is GORGEOUS!